You HAVE to meet Chris Hodge! 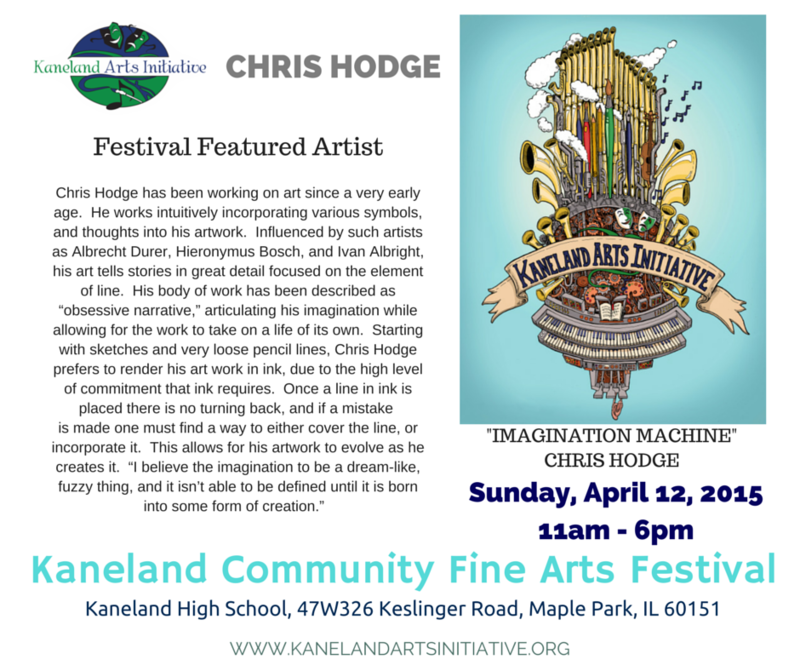 This year, the Kaneland Arts Initiative is pleased to introduce the 2015 Kaneland Community Fine Arts Festival Featured Artist. The purpose of designating a featured artist is to commission a piece of art that represents Kaneland Arts Initiative through the artist’s specific medium. The artwork created will become a permanent part of the Kaneland School District Professional Art Gallery and will be used for promotional material such as the Festival tee shirt as well as the poster and program design.